KUALA LUMPUR (Nov 14): The country’s gross domestic product (GDP) growth for the third quarter this year (3Q16) at 4.3% is worse than it looks, said Hong Kong and Shanghai Banking Corp Ltd (HSBC) Association of Southeast Nation (ASEAN) economist Su Sian Lim. “As was the case in 2Q16, Malaysia's headline GDP growth once more appears stronger than it really is. The economy expanded 4.3% year-on-year (y-o-y) in 3Q16, or 1.5% quarter-on-quarter (q-o-q) seasonally adjusted (s.a.), beating HSBC and market expectations of 4% y-o-y (or 1% q-o-q s.a.). “A closer look at the breakdown, however, showed a deceleration in q-o-q private consumption growth while both government spending and total investment contracted, nearly negating the gains recorded in 2Q16,” she said in a note today. On Friday, Bank Negara Malaysia said the growth of GDP from 2Q16 and 3Q15 was a result of higher private sector spending and net export. 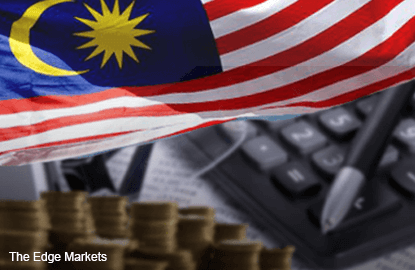 Su said the GDP report did not change its view that the Malaysian economy remains weak with domestic demand, in particular showing no signs of recovery. “The very low rate of private consumption growth (in q-o-q terms) is especially worrying, and as wage and labour market conditions continue to gradually deteriorate over the next few quarters, this key pillar of the economy looks poised to remain depressed,” she added. Su said for three straight quarters, sequential investment growth has either been contracting or slightly positive. “A fair amount of this investment appears to be primarily in the (bubbly) residential housing sector, as corroborated by the construction numbers in supply-side GDP, rather than outlays on machinery and equipment. “In other words, businesses have not been looking to expand operations for some time,” she said. She said with domestic activity slowing and inflation not an issue, HSBC has factored in one more 25-basis-point rate cut for BNM’s final meeting on Nov 23, taking the overnight policy rate to 2.75%. “Given the unexpected outcome of the US Presidential election however, financial market volatility in the lead-up to that meeting is also likely to be a key consideration for the monetary policy committee,” she added.